I graduated from IKIP (Teaching Institute) Bandung. I completed my Graduate Diploma in Education from Murdoch University, and completed Master of Education from University of Western Australia. 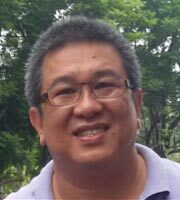 I have been teaching Indonesian since 2002 at Murdoch University and developing Elementary, Intermediate and Advanced Indonesian.